Last time, we reported on primary research conducted to better define the urban creature known as The Hipster. In this post, The PRDude offers followers insight as to where to find Hipsters in his rapidly gentrifying Avondale neighborhood and surrounding communities like Logan Square, and what’s perhaps the epicenter of hipsterism — Wicker Park/Bucktown. Not sure, but there’s probably an app — or someone is developing one right now — that will let users identify venues of hipsterism in major metro markets around the nation. Or, just do it the old-fashioned way and search for Chicago “hipsters” on Foursquare. Longman & Eagle, perhaps the most “hipster” of hipster eateries. Yes, those are fixies parked in front. Eateries. Yes, most people call them “restaurants.” But some how, “eateries” has more hipster panache. Look for eateries with single-syllable names, especially those that have nothing even remotely related to food. Establishments with ampersands in the name are common hipster gathering spots, and a telltale trait is the line to get a table. As far as type of cuisine, hipsters are not very choosy: As long as the food costs more than it should and bone marrow — in several forms — is on the menu. 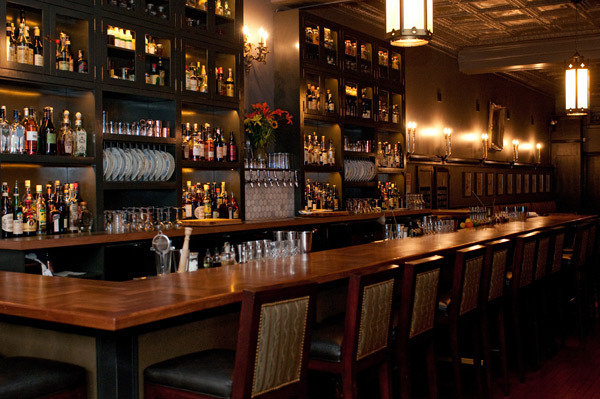 This may look like any upscale tavern; but this is the interior of Billy Sunday, a certified hipster craft cocktail lounge. craft cocktail lounges (don’t call them “bars” or “taverns”) serve cocktails that truly are out of the ordinary. Ingredients along the back bar include Sac’Resine, Blackstrap Rhubarb Bitters, Milanese Fernet and other stuff only a handful of people on earth truly can comprehend. You’ll know you’re in an authentic hipster craft bar — I mean lounge — if the bartender — I mean mixologist — is bearded, has sleeve tats on both arms and wears a vest; and if your cocktail averages $15. Milwaukee Avenue. Known by some as “The Hipster Highway,” this diagonal arterial thoroughfare has evolved (or devolved) into a linear microcosm of hipster culture. One will find the requisite eateries and craft cocktail lounges on or near this North Side street, and there’s always a perennial parade of hipsters on fixies out for adventure. I’ve observed several shops that sell fedoras. No self-respecting hipster would be caught dead or alive in a K-Mart. And, from another perspective, here are three places where you probably won’t find Chicago-area hipsters. Schaumburg. Would be hard to ride a fixie on a busy four-lane highway like Golf Road. K-Mart. It’s possible this national retailer sells hipster staples, including fedoras. 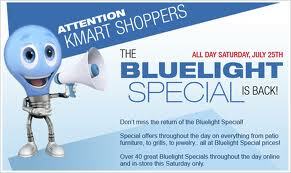 But I think the Blue Light Special might be a turnoff. McDonald’s. Yes, there often lines at the world’s largest restaurant, but they move quickly in most cases. Plus hipsters deplore dollar menu items. This tongue-in-cheek commentary was meant to amuse, as I have no qualms with hipsters. Like other preconceived demographic groups — hippies, preppies, yuppies for instance — they probably don’t exist. Besides, I’ve never heard of anyone defining themselves as a hipster. Have you? As all strategic public relations professionals know, conducting research drives communications plans. Primary research, or the studies you conduct yourself — can and should — offer insight needed to craft a plan that helps realize realistic goals and produce measurable objectives. For the past several months, The PRDude has been conducting primary research of sorts into a unique sub-species of human: The urban hipster. The purpose, of course, is to craft a plan to build greater awareness for and acceptance of hipsters and hipsterism in and around my humble Chicago neighborhood of Avondale and its sister ‘hood, Logan Square. 1. Fixies. Or, to be precise, a fixed-gear bicycle. Every self-respecting hipster rides a fixed gear bike, or some derivation thereof. Breaks, gears and comfort are for nerds. Accoutrements include a stylish messenger bag and helmet color-coordinated to the bike. Alternatives to the fixie: An Uber or Lyft app on the iPhone 6, Divvy membership and unlimited ride Ventra card. 3. Fedoras. Every self-respecting hipster dons a fedora at some point during the week, especially when off to dine at restaurants that charge $13 for a bowl of soup and feature entrees made with lots of bone marrow (whatever that is). Why a hat my father once wore has become the de rigueur hipster dress accessory today remains a mystery. Perhaps a fedora helps hide a premature bald spot better than a baseball cap. Now kind readers, let me know if my casual research is on target with identifying today’s hipster. 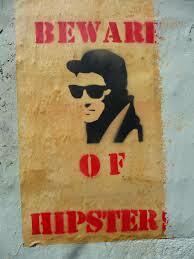 And, watch for Part 2, where I point out some places in the neighborhood where hipsters are known to congregate. How do I know where to look? Fixies, tats and fedoras will show me the way. 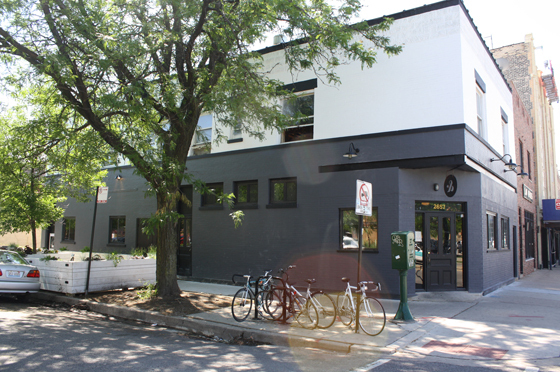 Want more on Avondale and Logan Square? Here are some other posts to consider. A July 2011 visit to the Logan Square Farmer’s Market. A May 2014 commentary on the pending closing of Hot Doug’s “sausage superstore” and its impact on Avondale.